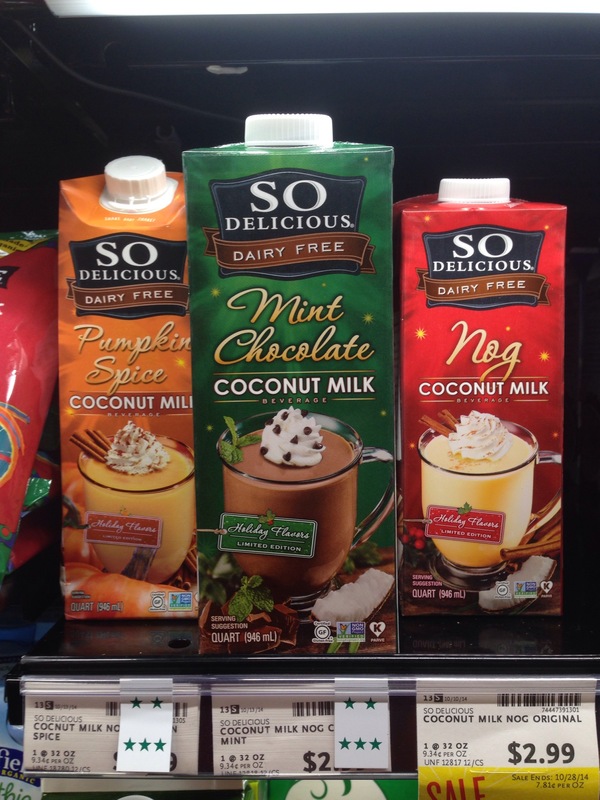 Nice to see that even around the holidays and B roll into them some old traditional’s are being remade dairy free! 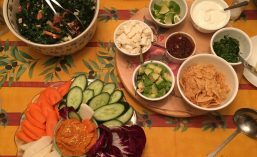 I think over the years when you aren’t a big dairy person because of the way it makes you feel – we still do miss some of those occasional high-fat rich, dairy flavors. 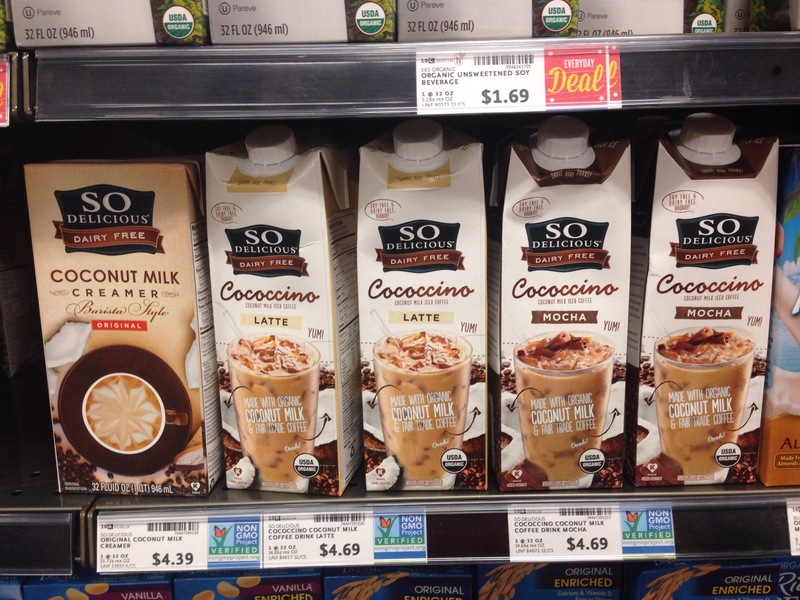 Luckily we’ve seen an increase in almond and coconut-based products over the last four years. This year seems to be a hot year because there’s at least 5 to 8 different manufacturers were making either coconut-based or almond-based products for those that don’t want dairy or soy. 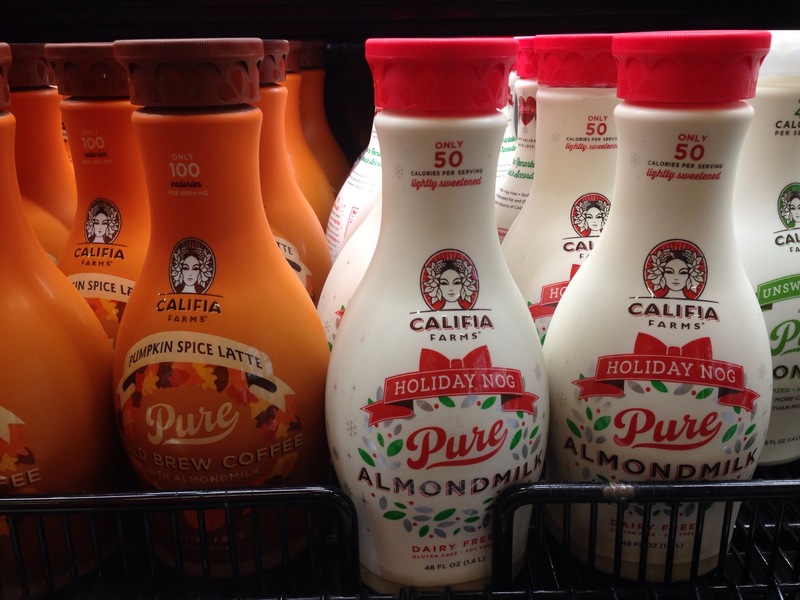 Since october they’ve rolled into the season offerings with pumpkin, eggnog and mint chocolate themes from the traditional Safeway in Cala tower market to even specialty groceries like whole foods. I’m thinking that this could be a fun season — in fact some of these I’ve cooked with and exchanged them for cream or dairy-based products. ← Shame on you Yelp. Havent you had enough bad press?